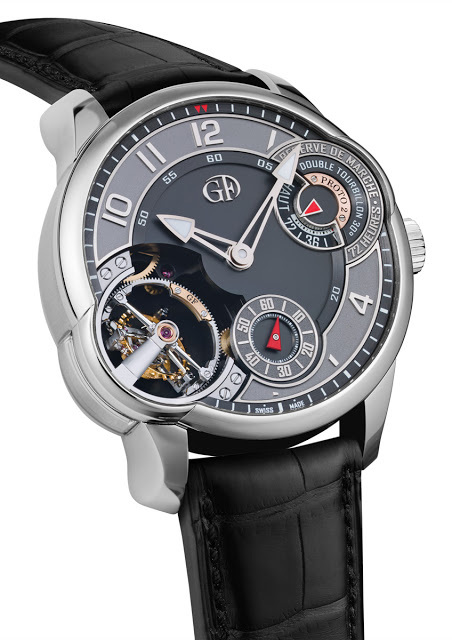 Greubel Forsey has just revealed the new Double Tourbillon Asymétrique, a reinterpretation of the original Greubel Forsey double axis tourbillon. 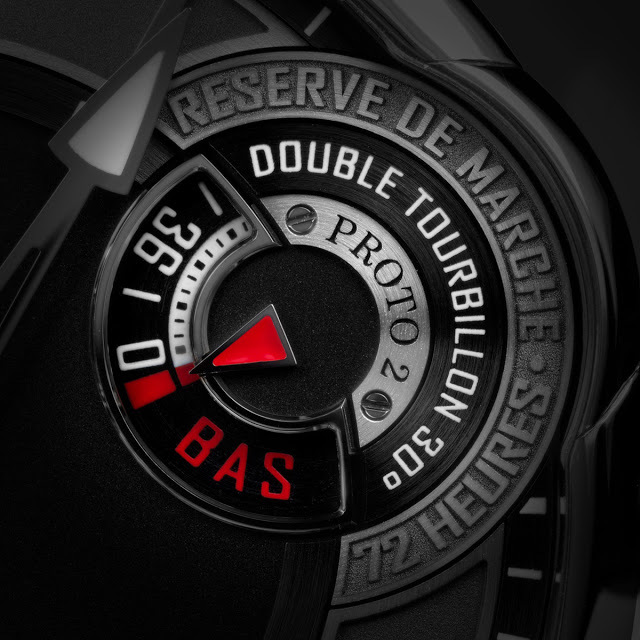 This is based on the Double Tourbillon 30°, but with an asymmetric case to accommodate the tourbillon at eight o’clock. Nearly ten years after the symmetrical Double Tourbillon 30° of 2004 (a version of which won the Concours de Chronométrie 2011), Greubel Forsey has revamped the movement to create the Double Tourbillon Asymétrique, which like all Greubel Forsey watches is marvellous, beautiful and expensive. 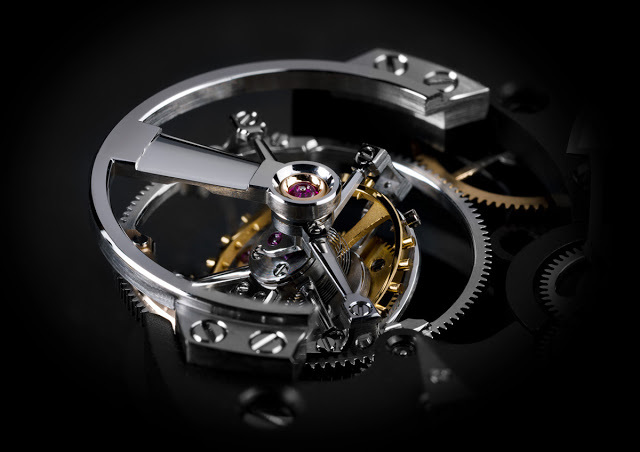 As with the original, the tourbillon remains a double axis tourbillon, with twin tourbillon carriages rotating at different speeds on separate planes: a one-minute rotation of the inner carriage and a four-minute revolution of the outer cage. 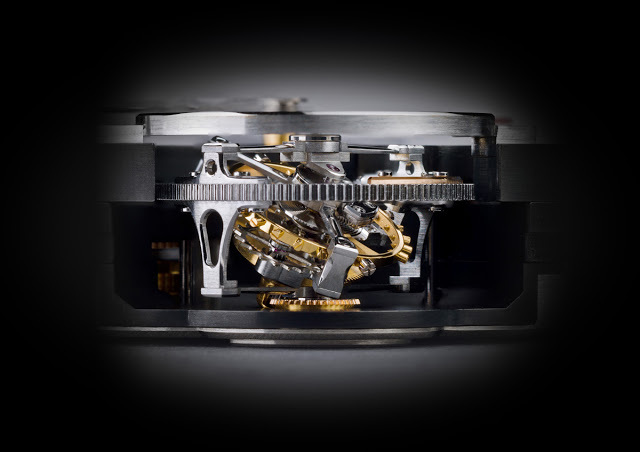 But the outermost cage has be inverted for the Double Tourbillon Asymétrique. The case is 43.5 mm wide with a curved sapphire window in the case side at eight o’clock, which provides a peek at the tourbillon carriages as they rotate. At two o’clock is the power reserve indicator which has a rotating disc and fixed arrow, while at six o’clock is the seconds display. 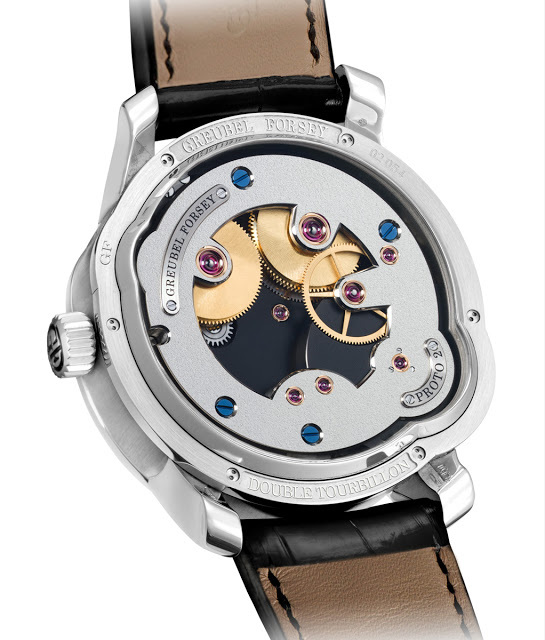 The movement is of course finished in the inimitable Greubel Forsey style, with frosted bridges and gold chatons.